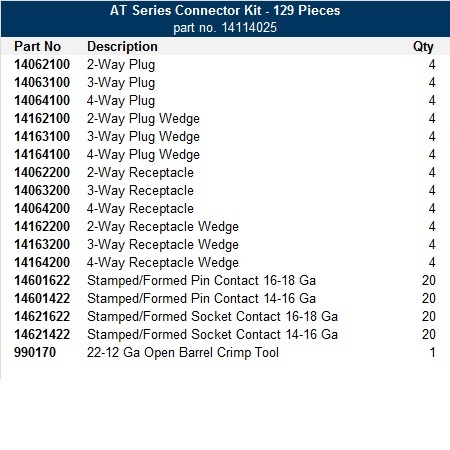 The AT Series Connector Kit is Deutsch connector kit compatible and contains 224 pieces. The kit holds connector housings, wedges, and terminals needed for an AT series connector assembly. This kit, similar to a Deutsch connector kit, is able to make multiple wire connections. The kit is designed for fleet maintenance or working on multiple projects at a time. The AT Series Kit components are compatible with all Deutsch DT Series connectors and Amphenol AT series connectors. For a quality AT Series Connector kit compatible with a Deutsch connector kit, look no further! Perfect for creating UV/weather-resistant, multi-pin connections. An assortment of 224 pieces, including housings, terminals and wedges. 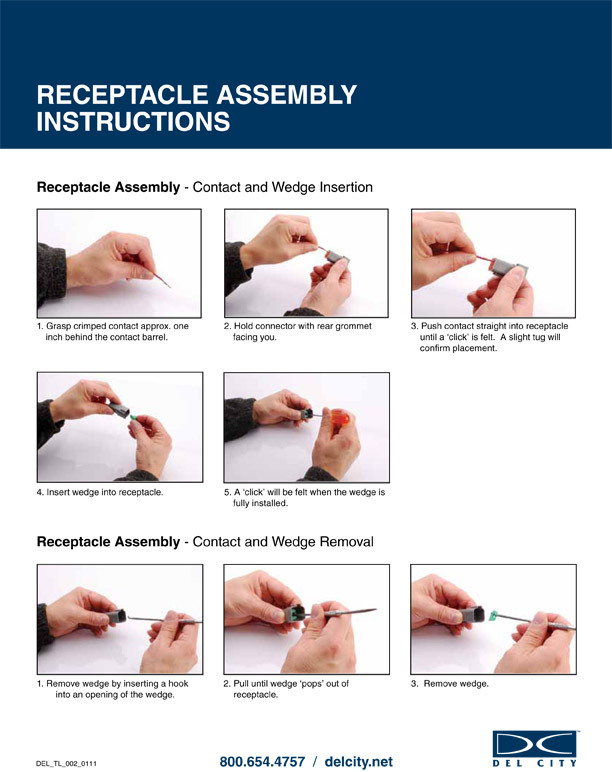 All contained in a durable carrying case (11" x 6 3/4" x 1 3/4"). An assortment of 129 pieces, including housings, terminals and wedges and crimp tool.